The reign of Antoninus Pius was regarded as the most peaceful in the history of the first era of Roman Empire, and one of glory and prosperity. On his accession as the Roman emperor, Antoninus Pius persuaded the Senate to grant divine honors to the former Emperor Hadrian. Antoninus’ reign was marked by internal peace and affluence. Trade and commerce flourished extensively during this period, with the opening up of fresh trade routes and nationwide construction of new roads. The aim was to connect the entire empire for commercial purposes. 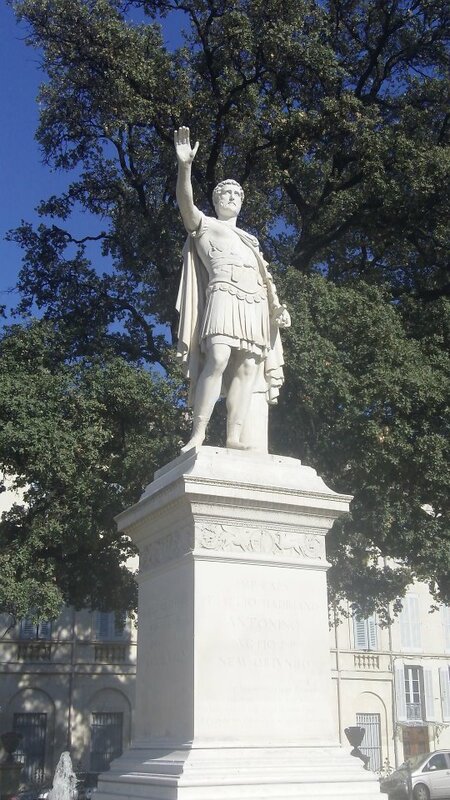 Today Nîmes is filled with important remains of its Roman history. We took this picture one late Summer afternoon, during the world-famous “Feria”.